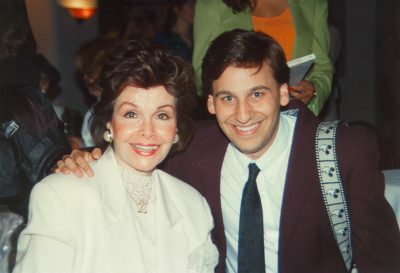 Scott with Disney Legend and original Mouseketeer Annette Funicello. Thank you for visiting my website! This is the home for my INTERVIEWS, but I post updates and photos on my BLOG and INSTAGRAM page. Also, you can learn more about me on my ABOUT page. 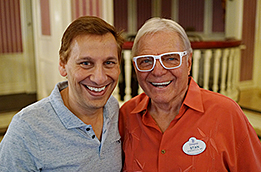 I met so many wonderful people since I began with Disney in 1988, and I wish I recorded many of the conversations I’ve had with some of the inspiring people who have been important parts in the history of Disney. But back in 2007, I started recording the conversations, and they are just too good to keep to myself, and that’s why I do this! I wish I could post them all faster, but they’ll all be on here in time. I also love sharing my Disney photography. My first book (published in 1994) focused on the details of Disneyland. Those types of details, the beautiful gems found in Disney Resorts that are sometimes overlooked by Guests, remain my favorite photography subject. I hope you enjoy the photos I’ve taken in the Disneyland Resort, the Walt Disney World Resort, the Tokyo Disney Resort, Aulani, a Disney Resort and Spa, the Disney Cruise Line, and Walt Disney’s hometown of Marceline, Missouri.